This time each month I post a quote by American writer, Henry Miller. And we will get to that. 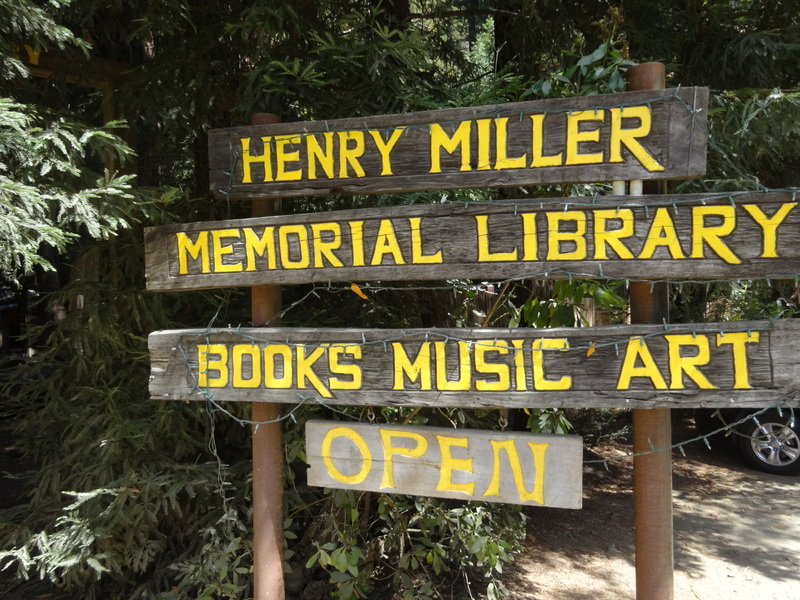 But this post is about a trip I took this week to The Henry Miller Memorial Library in Big Sur, California. 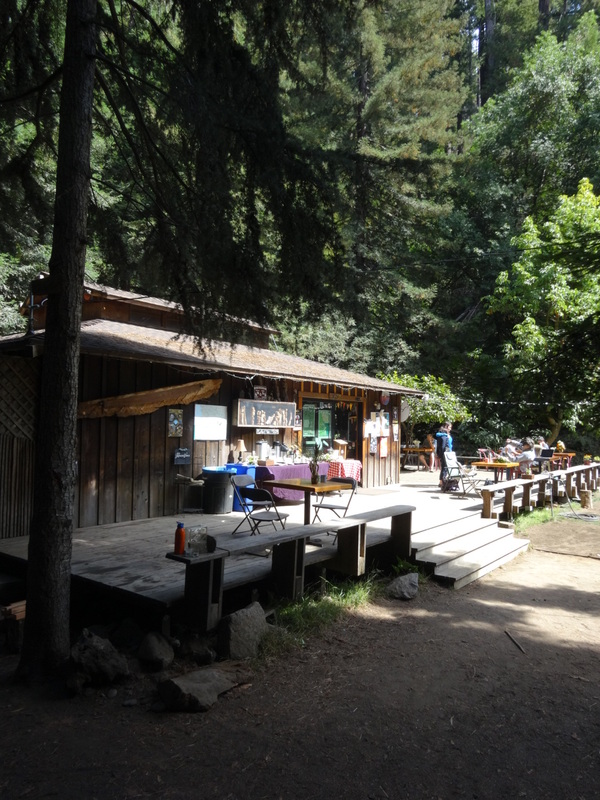 Few places on earth remain timeless but Big Sur comes as close as it gets. 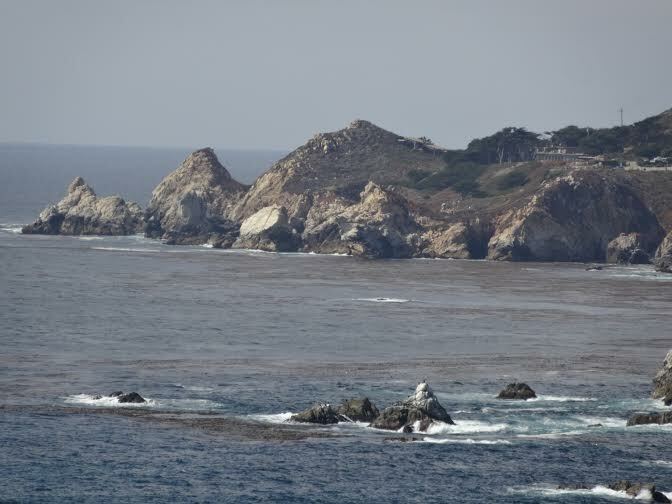 Located only 77 miles south of my home, the trip takes a little under two hours of coastal agricultural views before morphing into a turning and twisting drive of beautiful Pacific Ocean panoramas, small creeks, scenic bridges and tall redwoods. It’s impossible for me to take that drive without getting flashbacks of being a young boy on family trips in the family vehicle, a 1954 Buick. 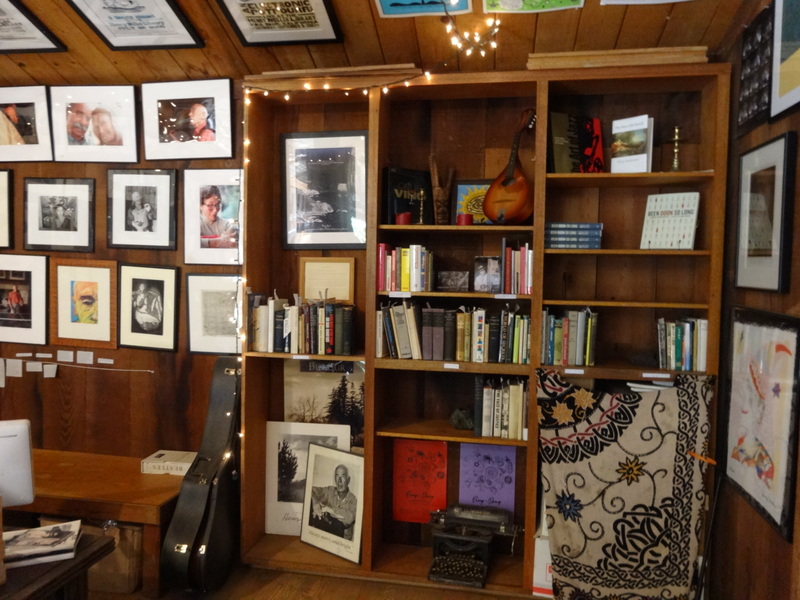 The Henry Miller Memorial Library is located 100 yards south of the well known Nepenthe restaurant. This is the sign upon arrival. Henry Miller was against memorials, in general and for him specifically. For Henry the best testament of a man was how he lived, not how he was remembered by others. 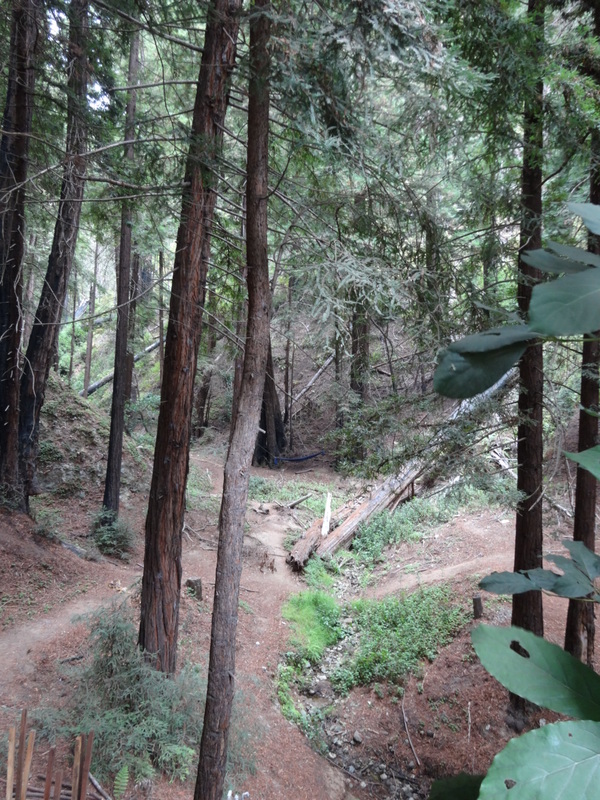 Just through the gate after a short walk through tall redwoods one is greeted by a simple redwood structure with a grove to the right with a stage and viewing screen. Inside one finds books, books and more books many written by Henry but other notable authors as well such as Jack Kerouac’s 1962 novel titled Big Sur. There are also plenty of paintings and prints by and of Henry but I saw no originals, probably because of their value. An original Henry Miller watercolor which he routinely gave away while at Big Sur and later sold or took a tax deduction of $300 per now fetch a few thousand dollars or more. The above bust sculpture of Henry is located by the cash register, along with a sign noting that with a $5.00 donation a book about the museum is included. 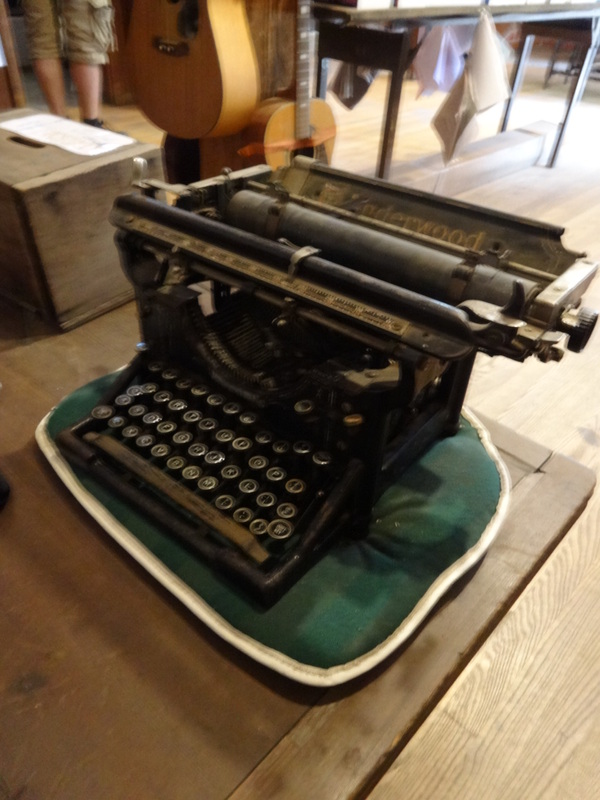 An old Underwood typewriter was one of many interesting artifacts to be enjoyed. 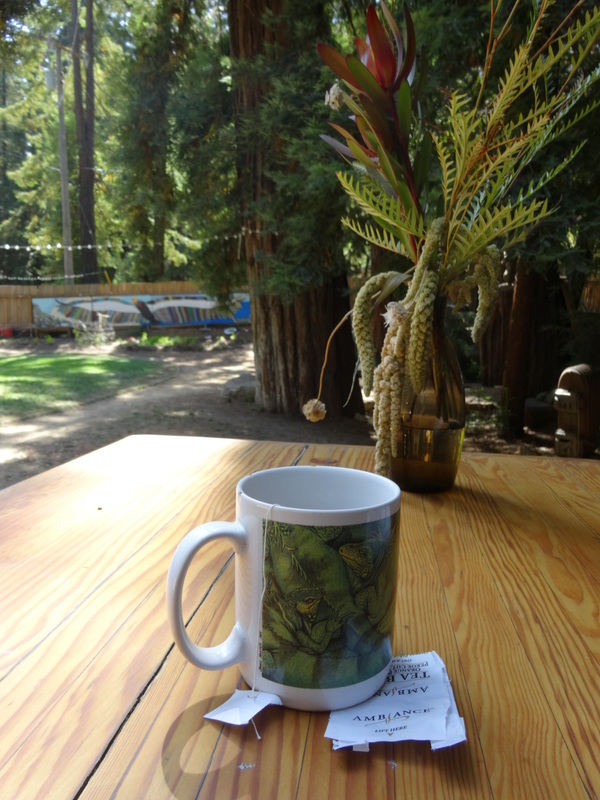 You cannot get much further from the hustle and bustle of Paris, France where Henry Miller lived prior to moving to Big Sur in 1948 but in both cases Henry was opting out of conventional wisdom. 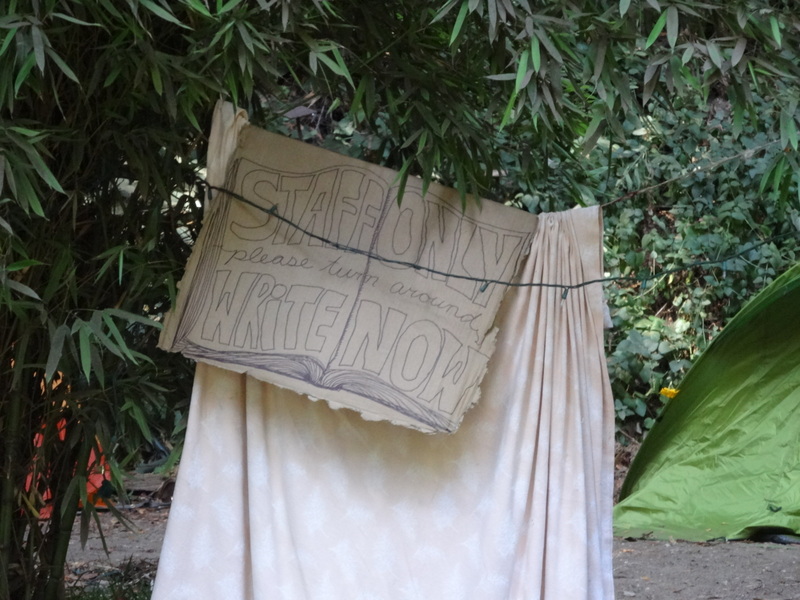 I bought a couple of Henry Miller books and brought them outside where tea and coffee were served under the honor system, which I am sure Henry would have approved. It’s a peaceful and timeless environment. There were only five other people enjoying the museum and I saw only one laptop open. Here I am forgetting myself just enough not to look into the lens of a rare Kevin Cummings selfie. 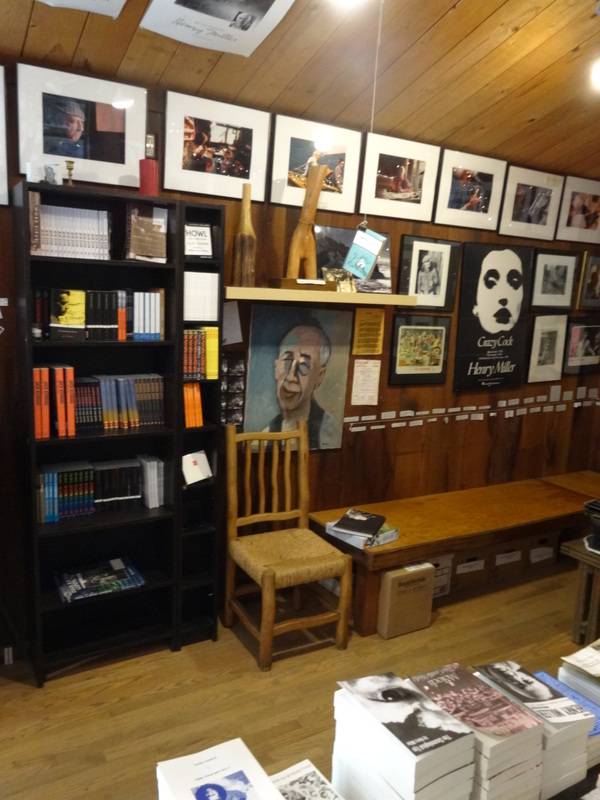 A portrait of Henry Miller looms above my head. 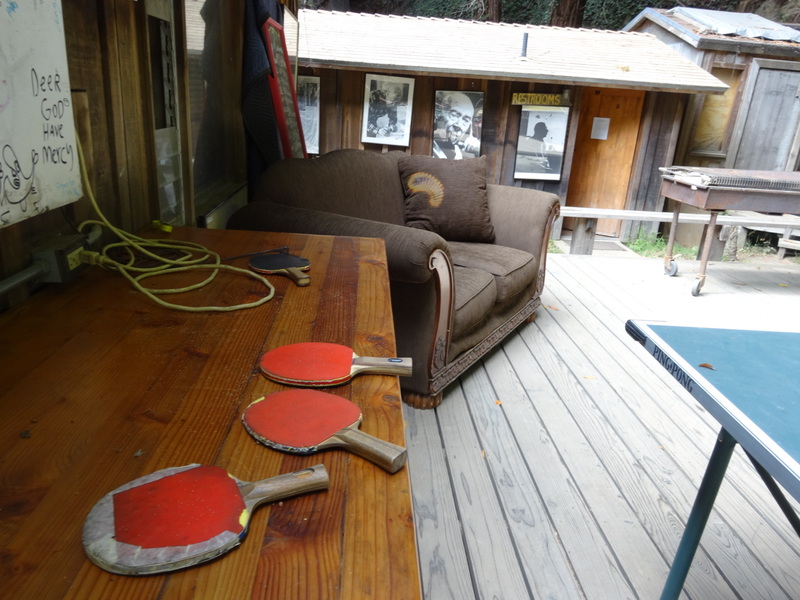 The library was previously the residence of Henry Miller’s longtime friend, Emil White. 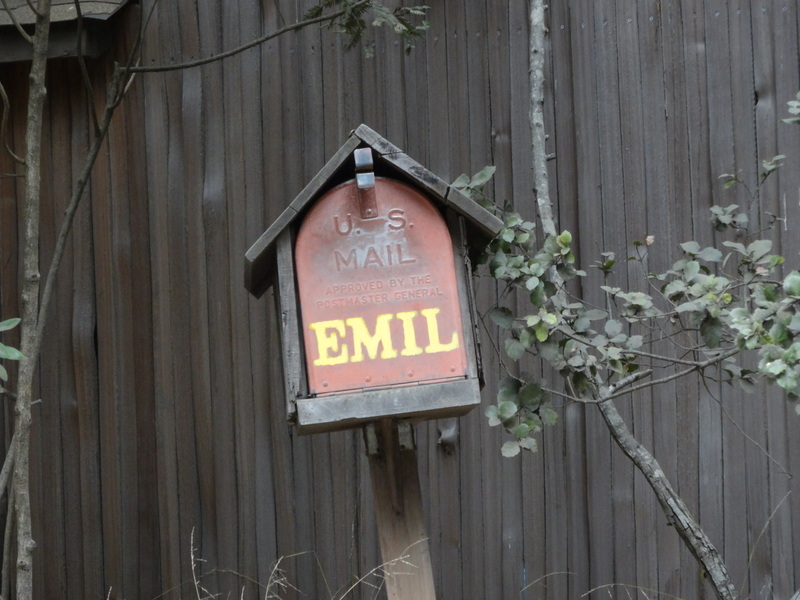 Henry once wrote about Emil: “One of the few friends who has never failed me.” Henry Miller lived about 5 miles from the library, up on a mountain top. The property is inaccessible to the general public. Emil set up the library to honor Henry’s life after his passing. In the 17 months I have been writing this blog a few people have wondered why I include Henry Miller? It’s a fair question. Weaving in Henry Miller throughout this Thailand based web site is one of the things I like best about it, and the quotes always rank high in traffic and the almighty, Likes. But for the answer you need look no further than one of my all time favorite Bangkok fiction novels, Missing in Rangoon by Christopher G. Moore. Like many of my good ideas it was not original. Borrowed is how I like to think of it, kindly. There is a Henry Miller thread woven into Missing in Rangoon, which adds greatly to the story. As timing would have it just yesterday Christopher G. Moore wrote about Henry Miller and George Orwell and the Missing in Rangoon and The Marriage Tree passages involving the two authors, in an essay titled, Obey, at Reality Check found at his excellent blog, InternationalCrimeAuthors.com . It is well worth the read as he discusses how two authors went about the near impossible but worthy endeavor of, writing about truth. Each one in his own and distinct way. 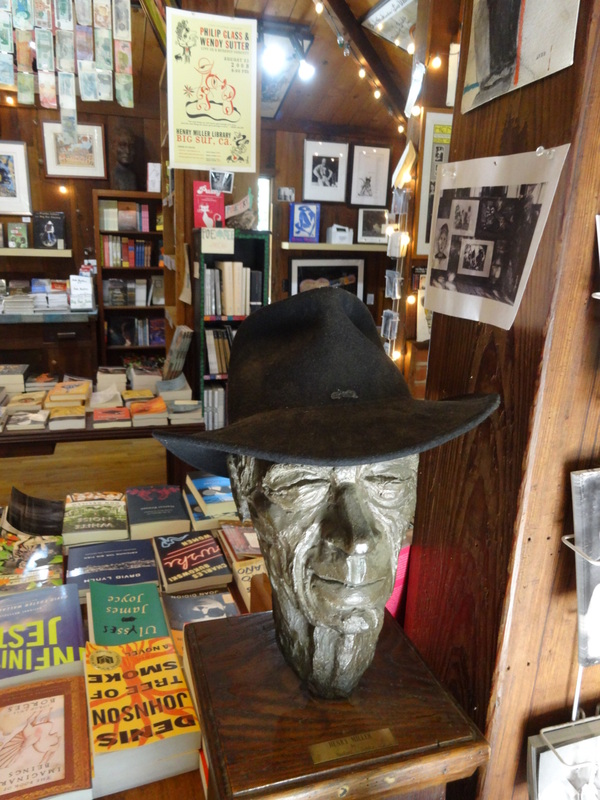 I hope you enjoyed this photo-essay on my visit to The Henry Miller Memorial Library. If you find yourself within a 300 mile radius of the library consider the journey for yourself. The ride back is even better for some reason. 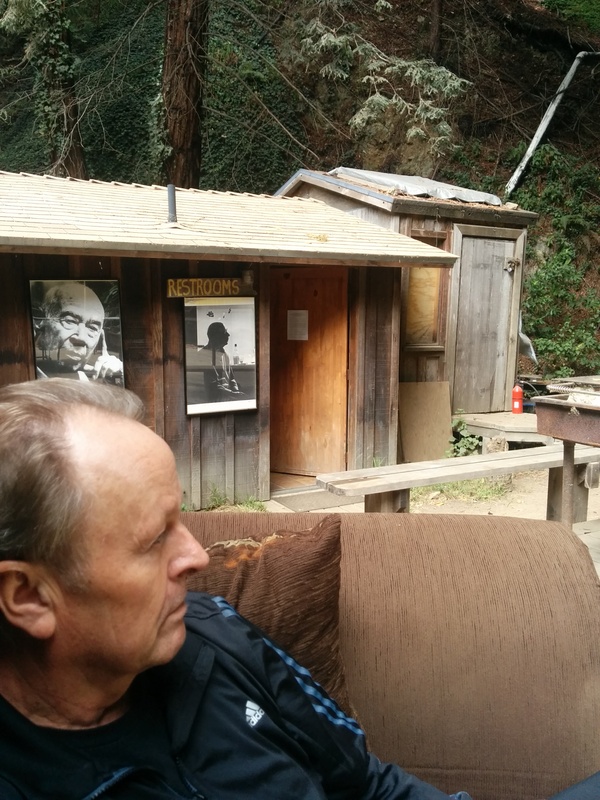 A photo-essay on my day trip to The Henry Miller Memorial Library in Big Sur, California. Henry was not in favor of memorials but I suspect he would very much like and appreciate the one his friend Emil White constructed in Henry’s memory. (Click any picture for larger view).